It is sad that we don't seem to learn from our species' past mistakes. The study of palaeo-environments is invaluable but all that research is useless if we don't apply the knowledge we gain to current situations. There are many examples of this kind of extinction found archaeologically but people don't seem to realise (or care about) the long lasting effects of the choices we make everyday. Hectic... it's all a bit depressing isn't it. I've read an article in Archaeology saying that the the humans were not the main cause of the environmental catastrophe. The reason for the extinction of the Jubaea palm is the introduction of the Polynesian rat in the Easter Island (Rapa Nui). The humans might've added to the loss, but it was mainly the Polynesian rats that prevented the growth of many Jubaea palm, as there were no main predators to eat these rats. The societal collapse was caused by the Europeans when they first visited the island. They killed some of the original inhabitants of Rapa Nui and introduced new diseases that the people couldn't cope up with. As the archaeologist, Terry L. Hunt said, "I believe that the world faces today an unprecedented global environmental crisis, and I see the usefulness of historical examples of the pitfalls of environmental destruction. 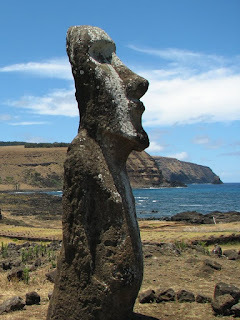 So it was with some unease that I concluded that Rapa Nui does not provide such a model...Mistakes or exaggerations in arguments for protecting the environment only lead to oversimplified answers and hurt the cause of environmentalism...Ecosystems are complex, and there is an urgent need to understand them better. Certainly the role of rats on Rapa Nui shows the potentially devastating, and often unexpected, impact of invasive species. 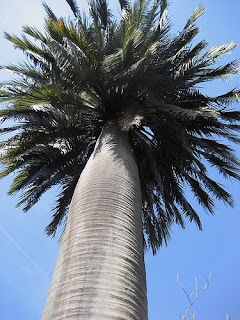 How hard would it be to plant the Chilean wine palm on the island along with ferns and other broad leaf plants that do well in dry weather. Someone with the money could take this island and in a generation turn it back into a tropical paradise.